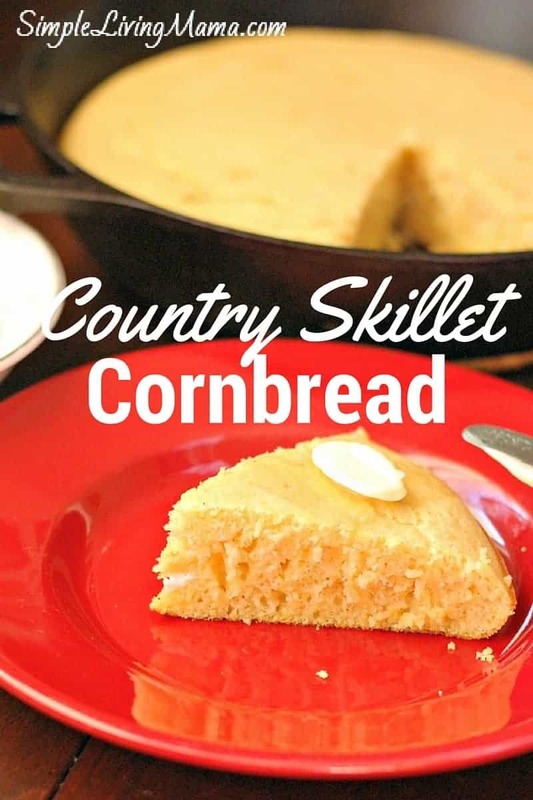 If there’s one thing that is in every country cook’s book of recipes, it is country skillet cornbread. Y’all know I love my cast iron skillet. 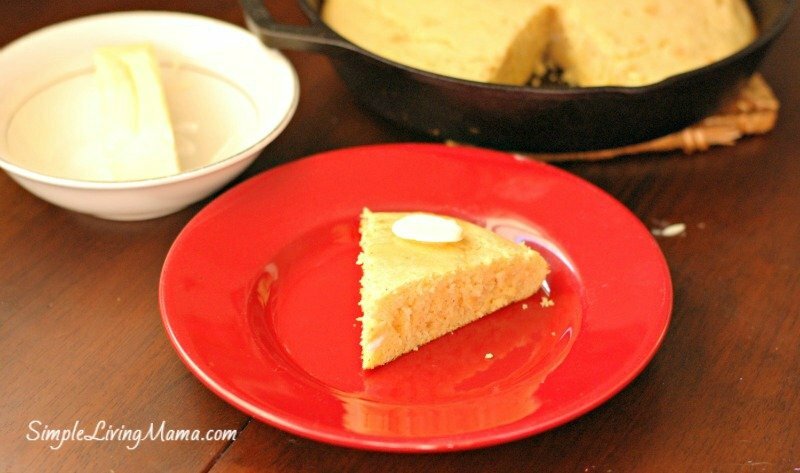 And cast iron skillets make the absolute best cornbread you’ve ever tasted. I grew up on this stuff. We ate it with chili and we ate it with beans and rice. We ate it with all kinds of yummy mix-ins and we ate it plain. We ate it sweet and we ate it not so sweet. 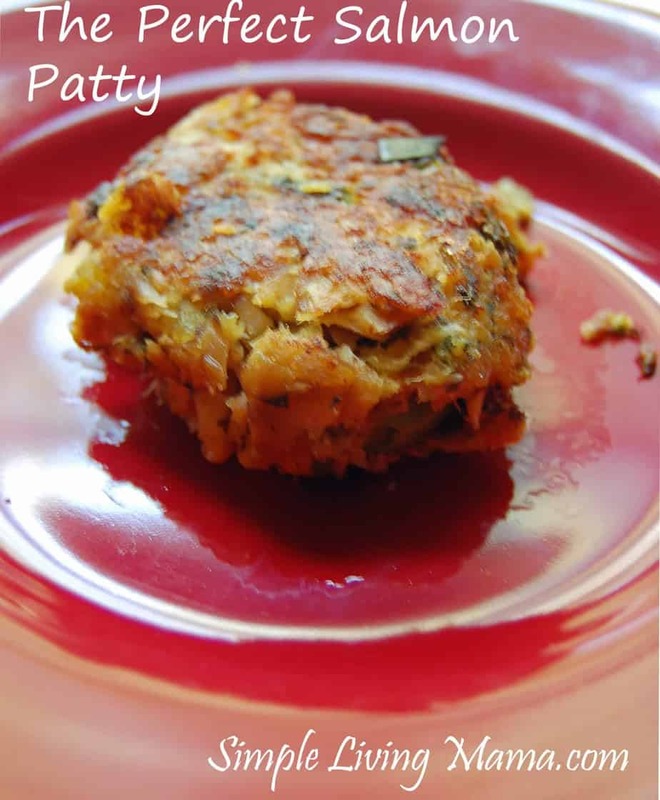 It’s a frugal food and a great accompaniment to many southern meals. 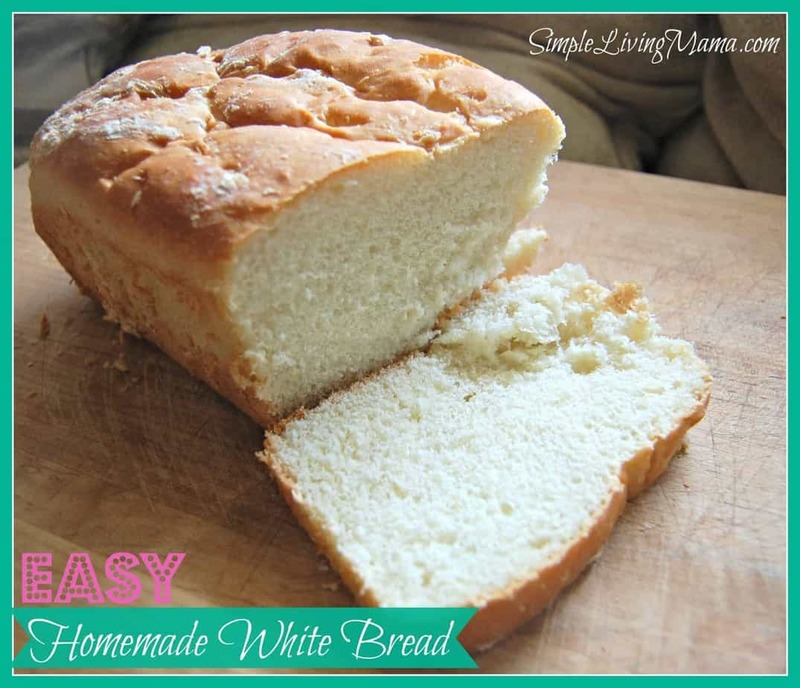 Today I’m going to show you my basic recipe. 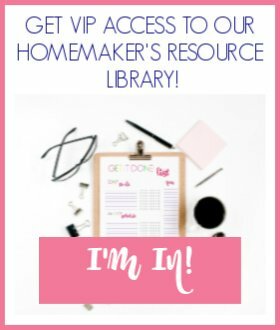 In the little recipe card I’ll tell you how to make adjustments. Gather your ingredients. 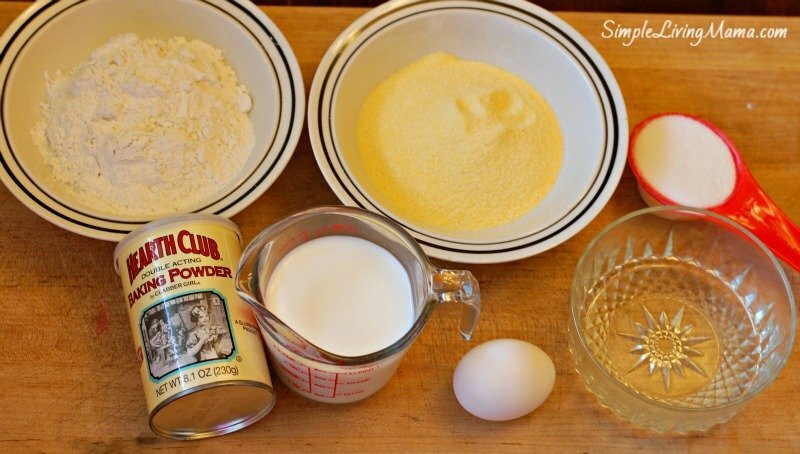 You need 1 cup of all-purpose flour, 1 cup of cornmeal, 1/4 cups sugar, 1 tablespoon baking powder, 1 teaspoon salt (not pictured) 1 1/4 cup milk, 2 eggs (1 not pictured), and 2 tablespoons oil. 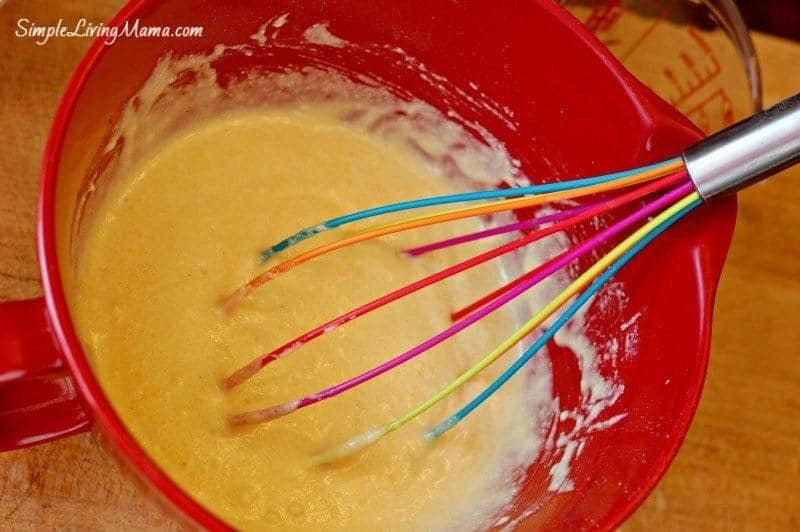 Before mixing the batter, get out two bowls. Combine the dry ingredients in 1 bowl, and the wet ingredients in another. Pour the dry ingredients into the wet ingredients and gently fold until well combined. This is important. 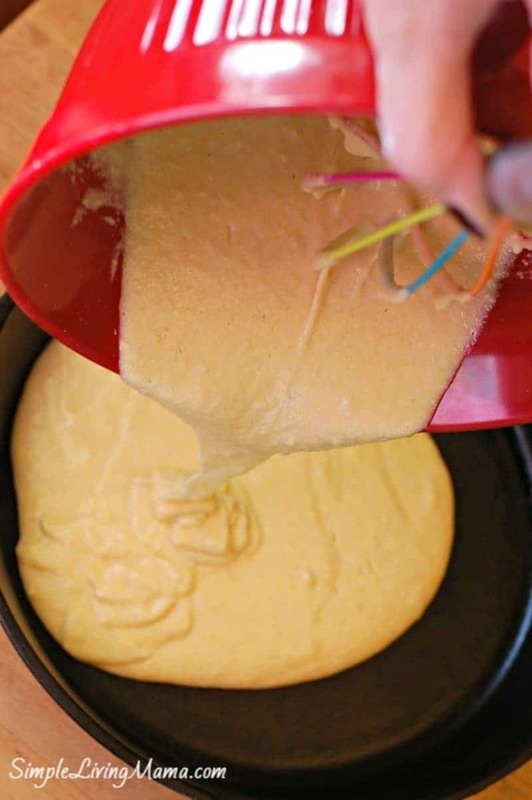 If you over mix the batter the cornbread will not rise. Ask me how I know. Grease your cast iron skillet with a little butter and pour the cornbread batter in. Bake in a 425 degree oven for 20-25 minutes. Your cornbread will come out of the oven smelling delicious! It’s so good. A couple of ways I like to change up this recipe. Sometimes I mix in some chopped jalepeno and shredded cheddar cheese before baking. Half a can of sweet corn is really good, too. 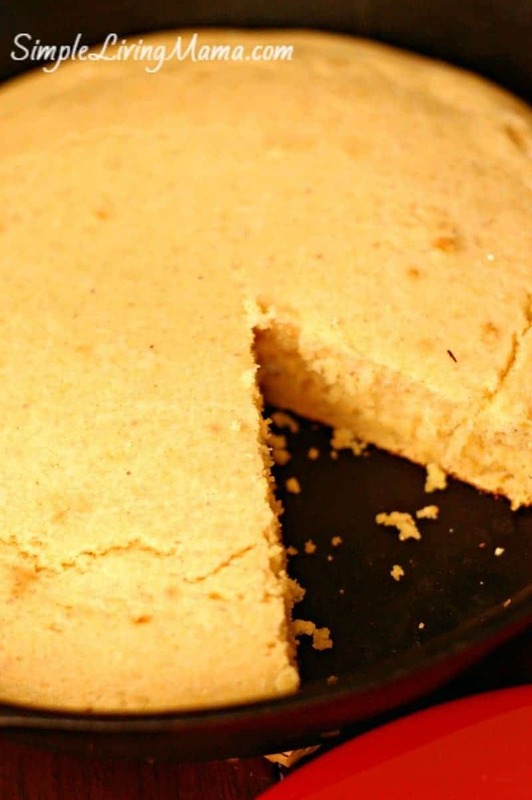 Don’t forget to put a pat of butter on top of your cornbread triangle! 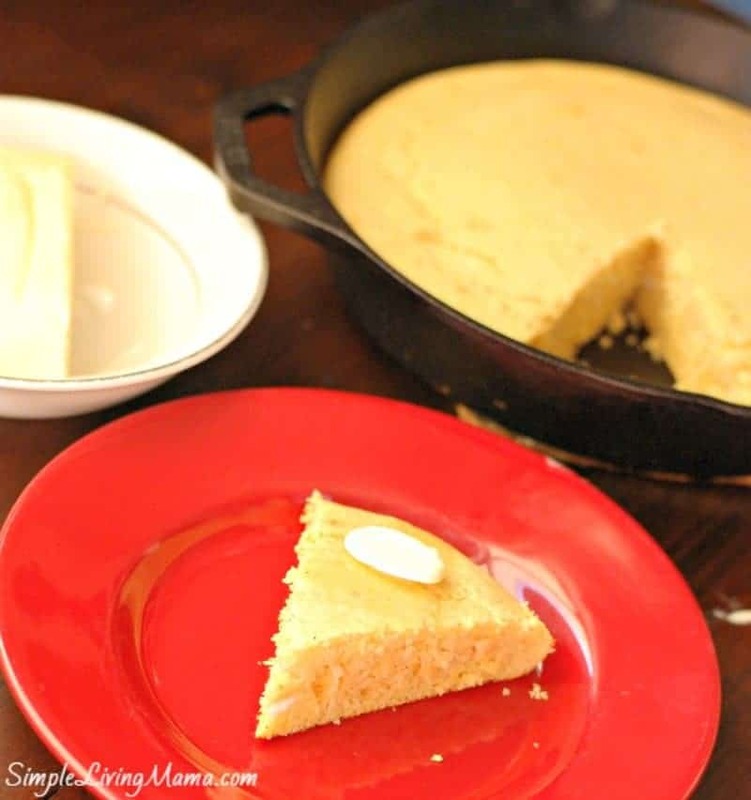 An easy, frugal cast iron skillet corn bread. Combine dry ingredients in one bowl, wet ingredients in another bowl. Pour dry ingredients into wet ingredients being careful not to over mix. 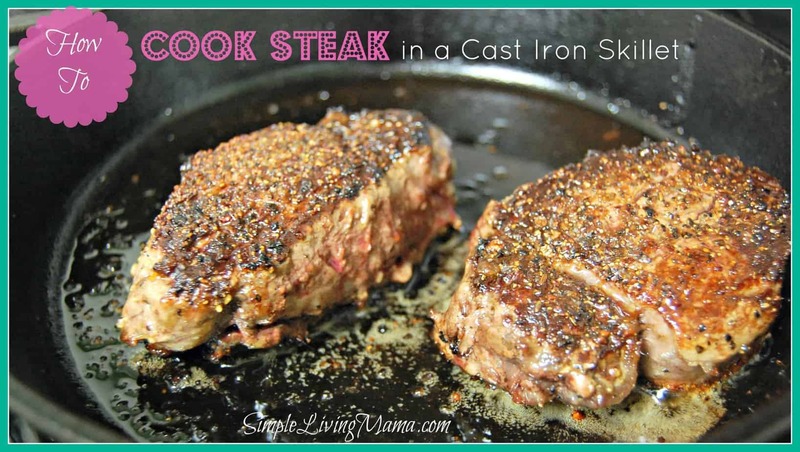 Pour batter into greased cast iron skillet. You can add chopped jalepeno and shredded cheddar cheese to the batter before pouring into the skillet. 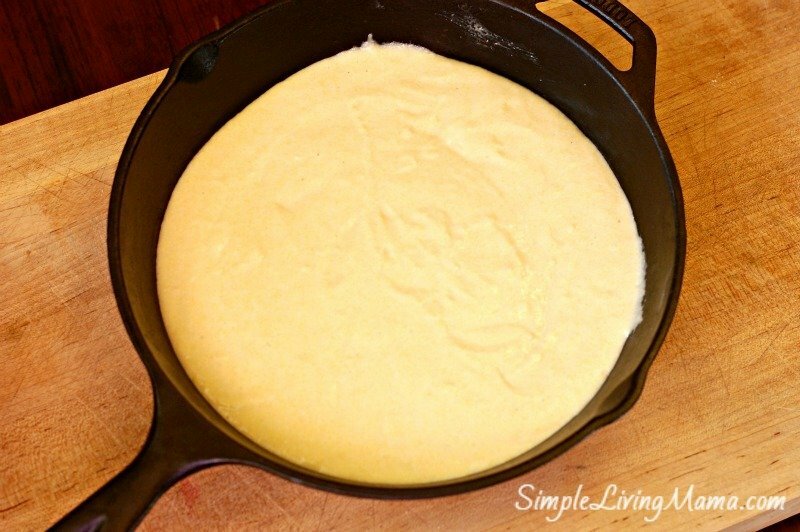 Another great add-in is half a can of sweet corn before pouring the batter into the skillet.